11.5" x 11.5" stitched on 14 count. 8.9" x 8.9" stitched on 18 count. 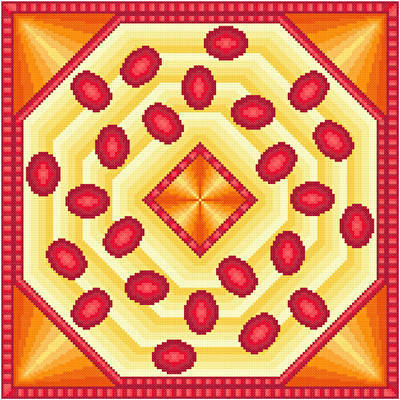 Bump Cars cross stitch pattern... Images representing the bump cars are scattered around center which reflects the corners. The borders and the corner and center shading provide highlights. Colors may be changed. Whole stitches are used.